Depke Gases & Welding Supplies delivers equipment, gases, and supplies to businesses and construction sites throughout Northern & Central Illinois, Northern & Central Indiana and Southern Wisconsin. Our customer service and operations teams work with our customers to create delivery options that best fit their needs while minimizing costs. We have a fleet of route trucks traveling from our Illinois and Indiana locations daily. 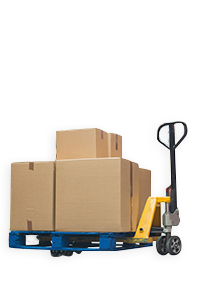 By using a combination of standard delivery days, weekly courtesy calls, customized order forms, inventory management resources and other tools, we can design the most efficient delivery method available. Standard deliveries can be scheduled Monday through Friday during our regular business hours. UPS and courier delivery options are also available for delivery locations throughout the world. We also understand that emergencies happen, and that is why our customers are given access to a Depke Gases & Welding Supplies representative 24/7.